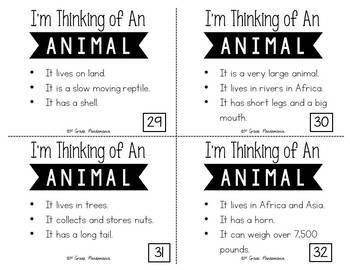 Use these inference task cards at reading centers, with partners, as a whole class, or play "Scoot" with your 1st or 2nd grade students to practice comprehension, critical thinking and inference reading skills! 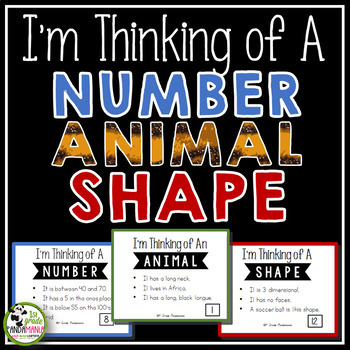 Students read the clues (riddle) on the card to decide what animal, shape or number it is. They record their answers on the included recording form. Answer key is provided for teacher or for students to check their own answers. 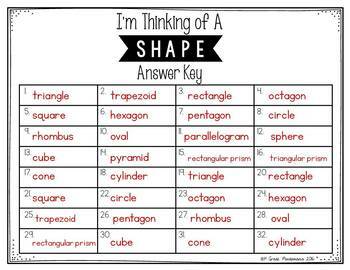 This activity is based on a game I have played with my own children and my students for years! We take turns telling 3 clues about an animal, person, place, etc. and call on people to guess. The person who guesses correctly gets to "Think of an Animal" next! 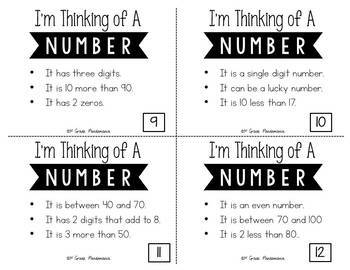 It has been such a hit with my own children and my students, I made it into a center activity for math and reading! ♥ Checklists for students to use as a guideline and for spelling. Students check them off as they are used. Please leave feedback and follow my store to be the first to know about new products and sales!